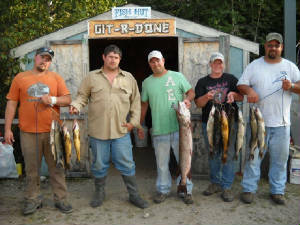 For anyone who likes to fish I do recommend that you try out Ituksum Wilderness Camp. I took a trip there at the end of May 2007, the weather was great for the entire duration of my stay. I loved the location of the camp, the peace and quiet was very nice. 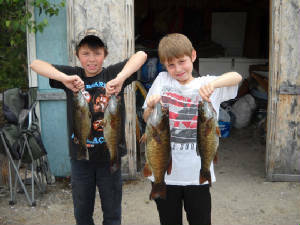 The number of available lakes to fish was immense. 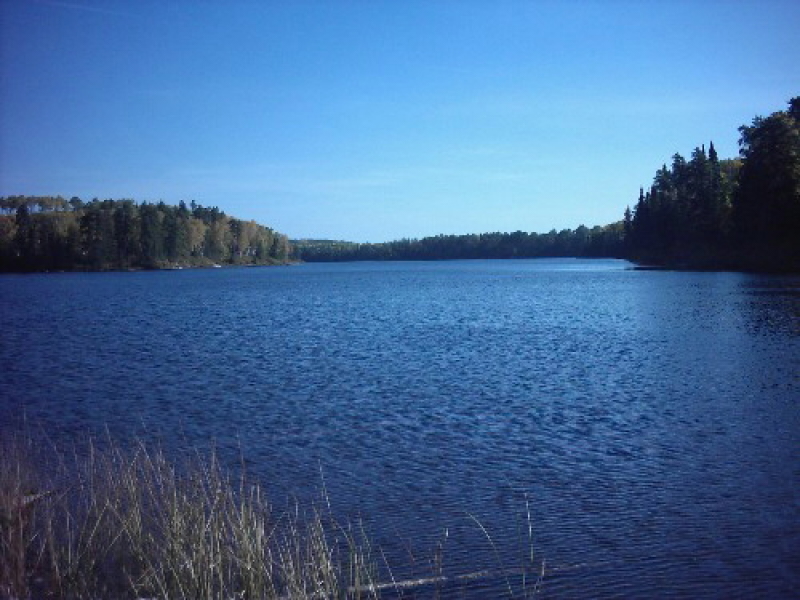 All of these lakes are abundant with fish, we caught mostly Walleye and Pike. 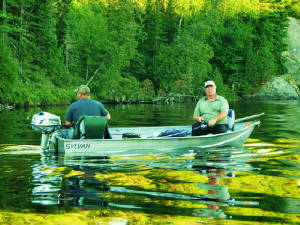 The fish were biting everyday I was out fishing. 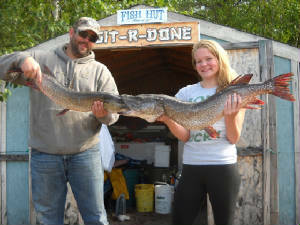 I caught a couple of nice sized pike, one just over 9lbs and the other was just under 14lbs and they put up a real nice fight. 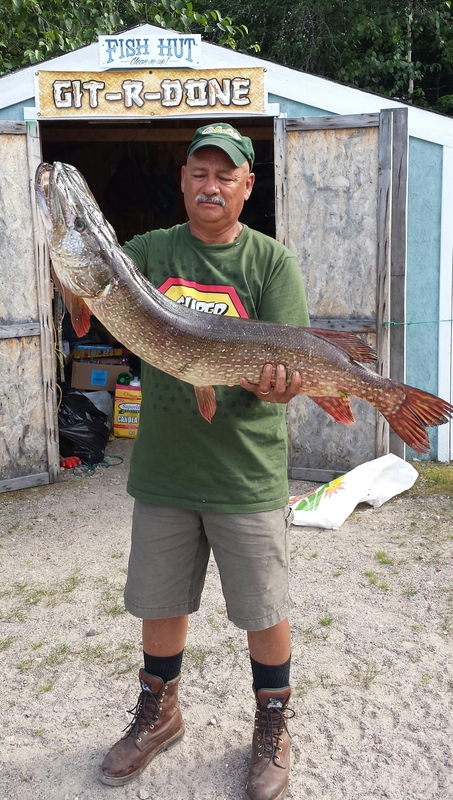 Now these big fish were caught on 2 different lakes and I think that much larger fish can be caught in any of the lakes around the camp. The walleye fishing was was also excellent with good early morning fishing that I did enjoy as well as some late evening fishing with the full moon (very beautiful as well). 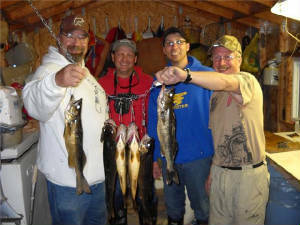 We caught many walleye in the 2 to 4lbs range and in very good numbers. 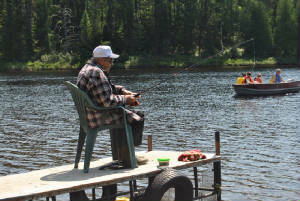 So all in all I had an excellent fishing trip, the owner of the camp did a great job making my stay a vacation to remember. 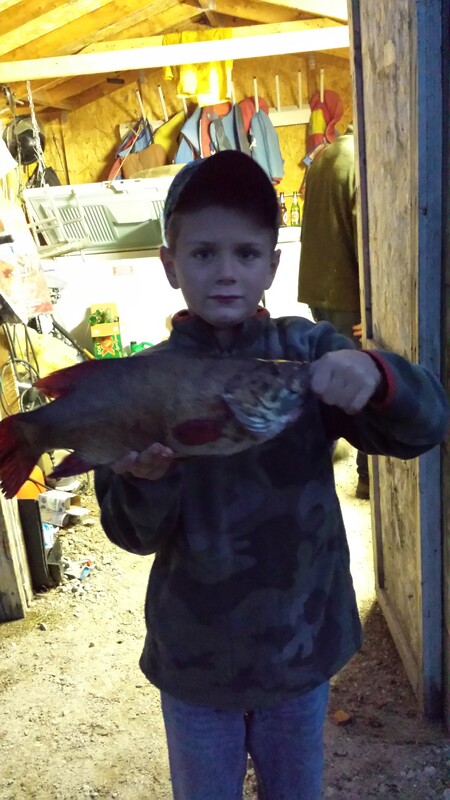 With his help ITUKSUM fish from every lake I went to. 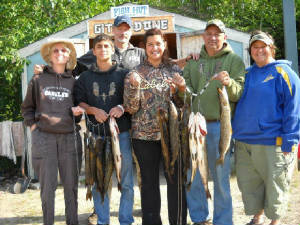 This picture is an updated picture of us guys from Alberta, we came back for a 2010 fishing trip, and hope to come back every year, cause it is one of the best vacations we guys can get together, relax, catch fish and visit all at the same time.